Your help is needed. The proposed Waterways Ordinance 19-05 would be devastating to our four season resort. The Valley County Board of Commissioners will hold public hearings on the proposed Valley county Waterways Ordinance 19-05 on April 22nd and April 23rd. Both meetings are at 6:00pm. Details regarding the meetings are provided by clicking the link to Ordinance 19-05 below. If you are able to make it in person it would be super valuable. The proposed ordinance has many new rules impacting Lake Cascade. The highlighted list of proposed rules below will impact the north end of the Lake and change the way many of you enjoy Lake Cascade. 1) No wake zone in the Willow Creek Area. It is unlawful for any person to operate a vessel on the Willow Creek area leading into SISCRA off the Boulder Creek Arm in such a manner as to create a wake. 2) No wake zone in the Boulder Creek Arm: It is unlawful for any person to operate a vessel on the Boulder Creek Arm commencing at the mouth and North in such a manner as to create a wake. 3) Lake Cascade would be considered “No Wake” during night time hours. 4) A boat creating a wake larger than 24 inches must be 1,000 feet from the shoreline. This means wake-surfing and wake-boarding would be banned in all areas outside of the highlighted portion on the map below. To read the full 6 page draft Ordinance 19-05 click here. I have also linked this Wave Energy Executive Summary from the Water Sports Industry Association summarizing a study done on wake-sport waves and their potential impact on the shorelines. 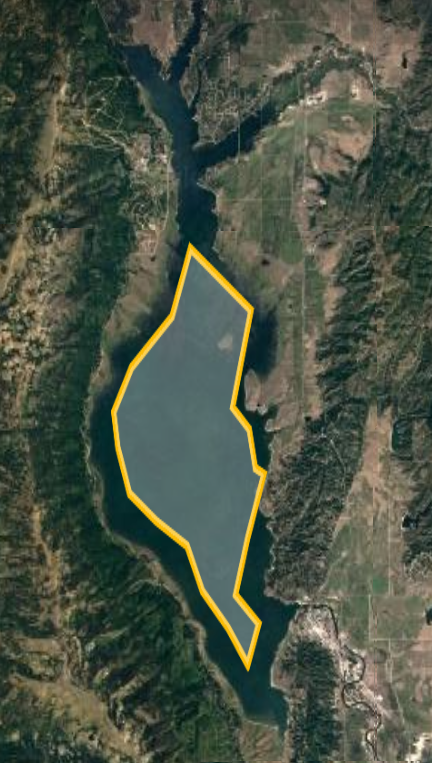 This study indicates the proposed no wake zone 1,000 feet from shoreline (#4 above) is excessive and likely unwarranted. Your TMA Board encourages you to write to the Commissioners, show up to the public hearings and sign the petition below.